The hardest part of living in Tuscany is WHERE DO YOU START?? When you have done a little research on the towns and villages of Tuscany it becomes overwhelming in deciding which to visit. Each has its own unique food, wine, historical elements and charm that figure into the mind numbing choices. Then you whittle down by distance, bus and train availability, or automotive feasibility (not to mention the economic considerations of Rental cars and fuel) and you realize even a Local hasn't visited the majority of these Italian treasures. We will just have to return, I believe we could spend March-May in Italy for the next 10 years and still have places to visit. Italy has 49 UNESCO World Heritage sites, no other country comes close. Siena's most beautiful Duomo, maybe the nicest in Italy. These guys won the World Championship. 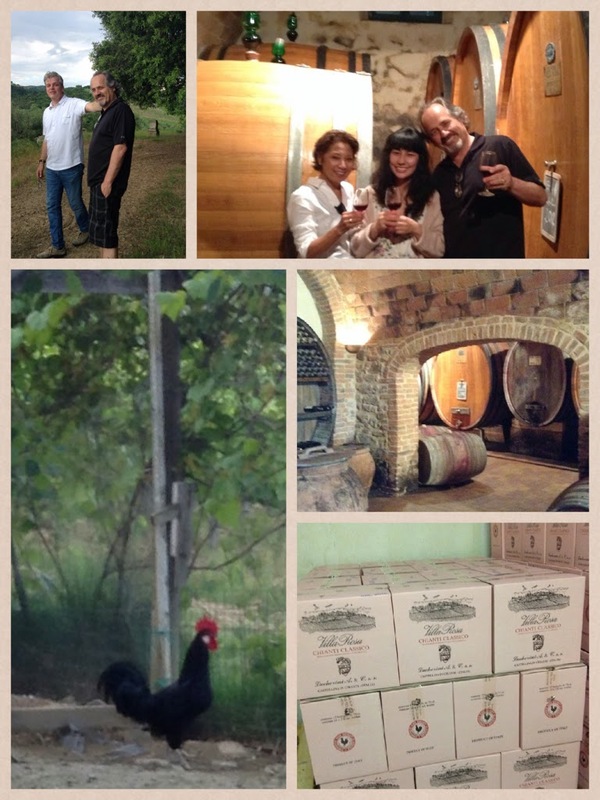 A wonderful day Under The Tuscan Sun for me was June 2, 2014. It just happened to be a national holiday in Italy know as Republic Day or Festa della Rebubblica in Italian. (It celebrates the day when Italians voted to abolish the monarchy in 1946 so their country could become a republic). The first stop is lunch in the country outside of Poggibonsi - Castellina in Chianti. Elena's mother prepared a wonderful lunch of Ravioli stuffed with ricotta and spinach with butter and fresh sage from her yard, and of course topped with parmesan!! 2nd course was rolled chicken with mortadella and olives, a tomato salad (I helped with), and for dessert, gelato and biscotti with Vin Santo. Un pasto meravigilioso! Vi ringrazio tanto! Our next stop is a visit down the road to Elena and Harperts friends - Allesandro and Otello. They own Tenuta Villa Rosa, a winery in Castellina in Chianti. We are introduced to Allesandro, as you can tell he and Elena are very close friends! We are captivated by Otello, as he introduces us to the winery. We get our own private tasting and you can tell Otello is a very proud Papa of his Chianti Classico 2010 vintage! ....More tasting to Allesandro and Otello means a meal with your wine - and not just one wine! - The Chianti Classico Riserva was just a start. and the ending was Grappa - Molto Buono! The Tuscan sun was warm today, so sitting outside with a wonderful meal including fresh fry bread, home-made spicy sausages, BBQ chicken and lettuce fresh from the garden was perfect. 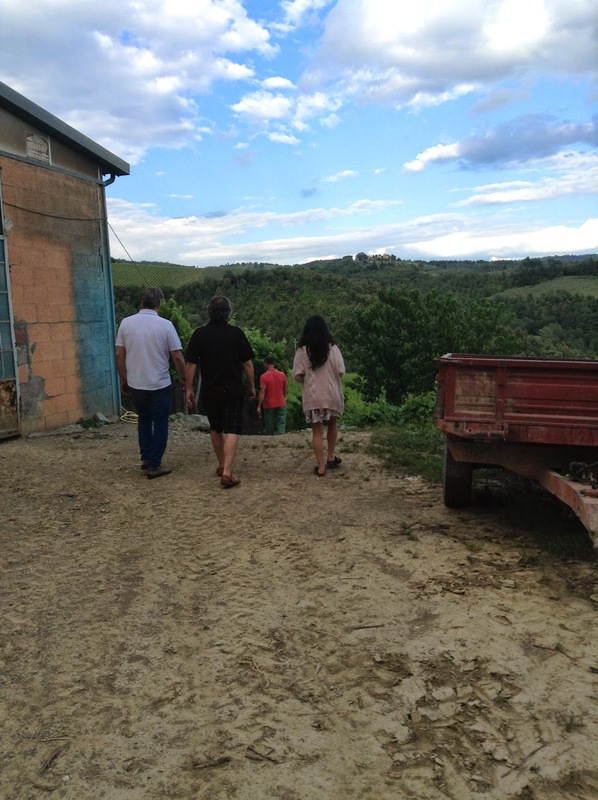 This day of Tuscan wine and new friends is something we will always remember. Evviva! to Otello and Alessandro - Grazie!! Also, Happy Birthday to Otello, we had a wonderful evening singing birthday songs to Otello! ...and that is the story of Under the Tuscan Sun! 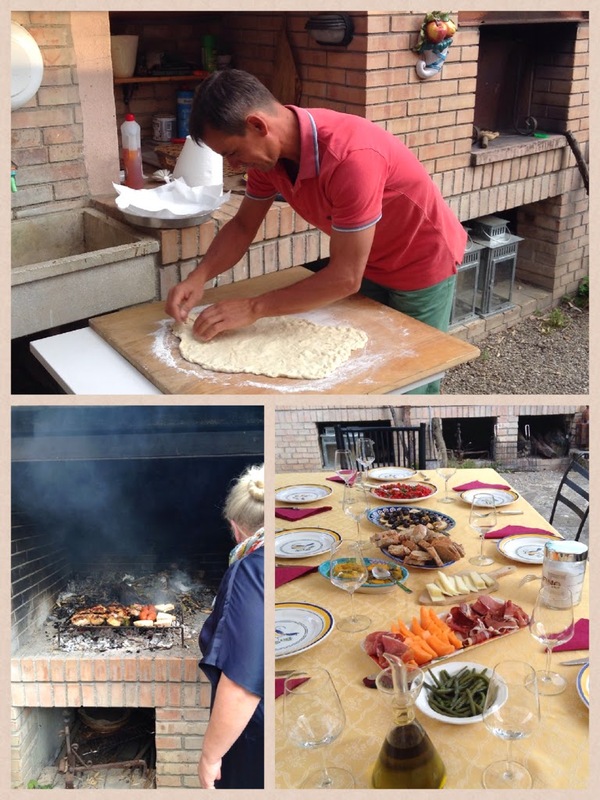 Thank you Elena and Harpert for helping make our stay in Tuscany a memorable one!